Following a meeting between Vladimir Putin and his Turkish counterpart Recep Tayyip Erdogan in Moscow on Monday, the Russian leader was asked by reporters about Moscow’s stance on the US move. “Regarding recognition of the Golan Heights as a part of Israel, you already know Russian stance. It’s been presented in a statement by Russia’s Foreign Ministry. 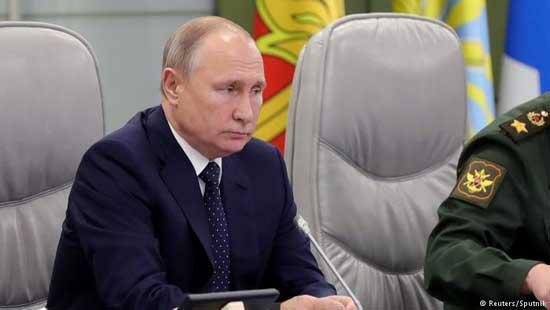 The [US] move violates respective UN Security Council resolutions,” Putin stated. Syria’s Golan Heights region has been occupied by Israel since 1967 and later Tel Aviv unilaterally proclaimed sovereignty over it. US President Donald Trump announced the decision to recognize Tel Aviv’s sovereignty over it in late March, gaining praise of Israel – and sparking world-wide outrage. Trump’s move has received no support outside of Israel, getting rejected even by the closest allies of the US.